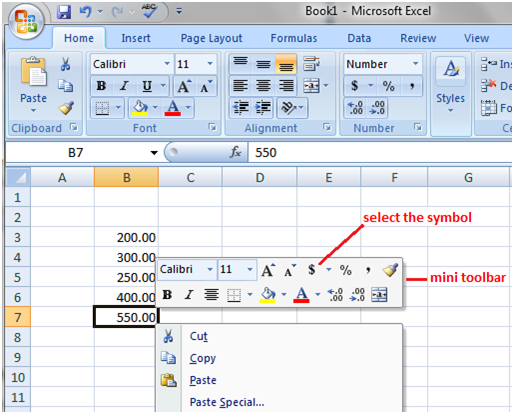 In case you want to add currency symbol to values then use mini toolbar as shown in the image given below. 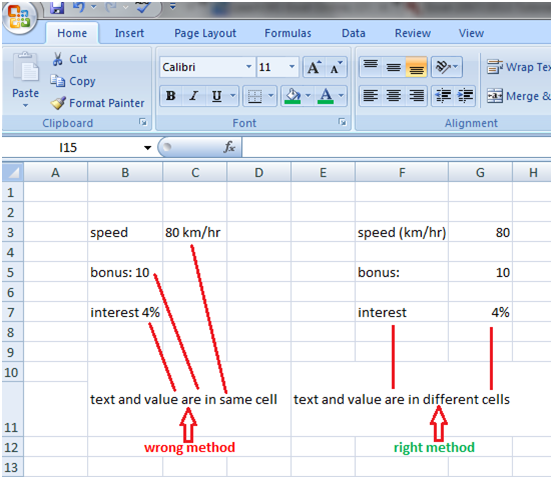 Select the range of cells then right click. Mini toolbar appears above the shortcut menu. Click on the currency symbol. It will be added to the given values. 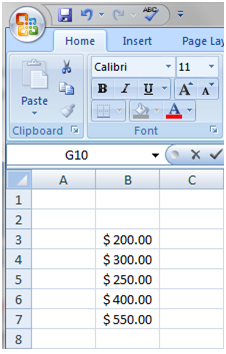 To find more currency symbols click on the arrow next to the currency symbol. See the images given below.